We shared a 2011 Willamette Valley Vineyards Pinot Noir and a 2010 Hess Allomi Sauvignon Blanc. Both were pleasant. Next week’s wines will come from our cellar of exquisite wines. We received a thank you note from the Assistance League of North Coast for our donation of stuffed animals, which they sold to raise funds for some of their projects. We also donated a box of wooden roses for distribution to mothers on Camp Pendleton. Our speaker was “The World’s Greatest Gatecrasher,” Dion Rich. 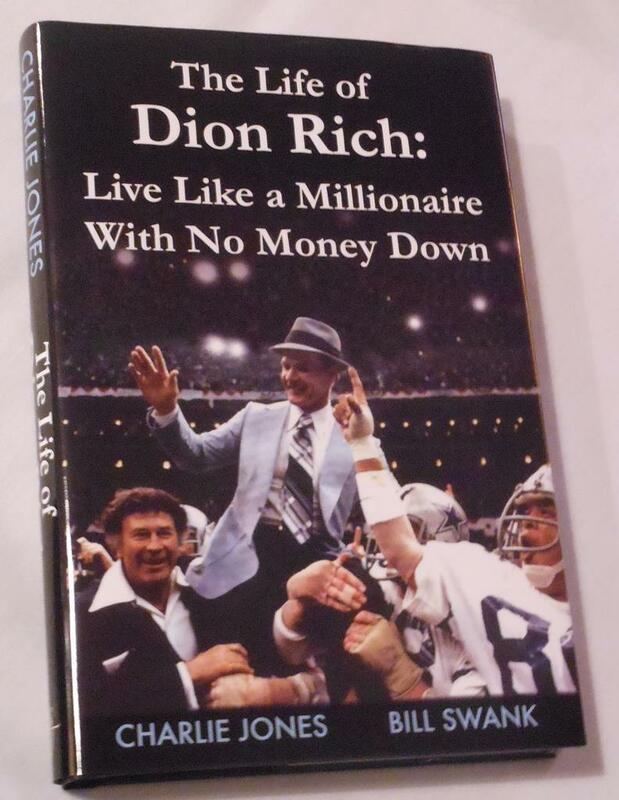 Dion has been crashing sporting events, Hollywood festivities, and private parties for more than 40 years. One famous photo from the Superbowl, for example, shows a victorious Tom Landry being carries off the field by a collection of luminaries. He’s sitting on the Dion’s shoulders. Dion regaled us with stories about just a few of his exploits.